Advance Concrete 2011 has a simple and efficient way to represent the variable distribution of the bars in two directions. The advantages of these options are precision and accuracy of the reinforcement drawings, but also less detailing errors. 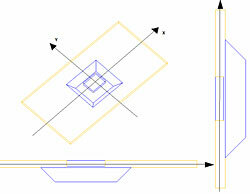 The variation of the reinforcement in two directions is used to represent the reinforcement of the elevator pit. In this situation there are bar variations both on the X and Y axes. 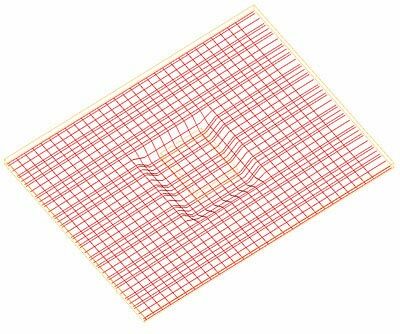 Create a reinforcement drawing for the elevator pit. 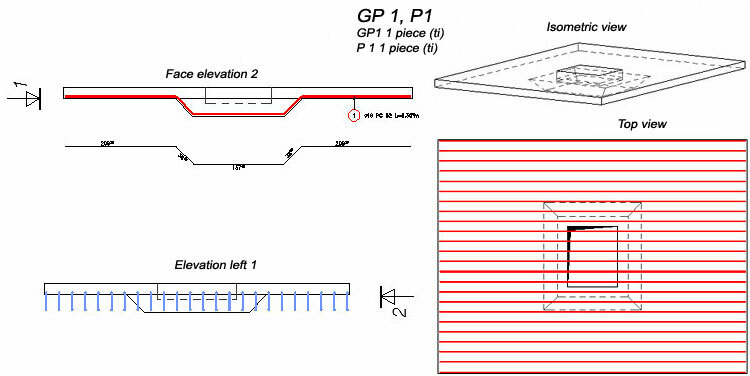 In the elevation, draw a polygonal bar following the contour of the pit. The bar will be distributed using the linear distribution. Notice that in some areas the distribution must be constant and in others it should vary. To create variations of the distribution in two directions, use the "Define distribution bar grips" option from the Advance Reinforcement toolbar. This is accessible only for the distributions of polygonal and U bars. Select the linear distribution. In elevation, points that define the variation path are placed on the definition bar. Select for each point the path to follow. When defining the path for one definition point, its color changes from dark blue to green. The first two points will have a constant path, from one end to the other end. Points 3 and 4 are in the variation area, which implies a different path from the first two. The variation path will be represented by the contour of the elevation pit. Points 5 and 6 will have a constant path also, like points 1 and 2, from one end to the other. It can be seen that the polygonal bar is symmetric meaning that the points paths are identical two by two. The variation path can also be specified by selecting predefined lines. If this method is chosen, before initializing the command, help lines must be defined. The command is initialized. Select the linear distribution and on the command line select the help lines selection option (S). 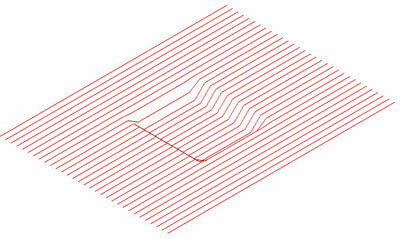 When defining the extrusion path for each point the corresponding help line will be selected. To view in the 3D model the variable distribution in two directions select "Start 3D viewer" from the "Advance Reinforcement 3D viewer" toolbar. When creating the reinforcement list, you can see the correct detailing of the reinforcement bars. The same steps are performed to define the distribution in the perpendicular direction.